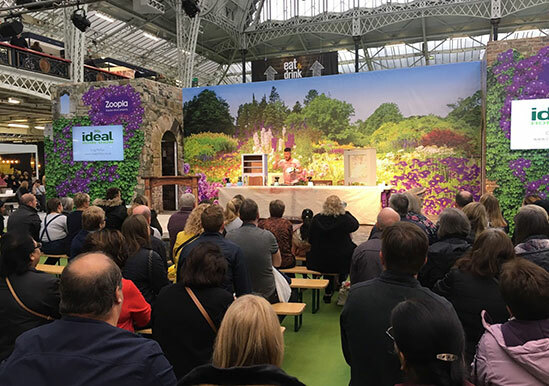 On 24 March Craig appeared at the popular, annual Ideal Home Show exhibition in London where he offered his expertise to the show’s visitors. Taking place at the Olympia exhibition centre in the capital, the event comprises of a range of exhibitions, stalls and celebrity guests focusing on a whole host of household areas including interiors, home renovation and gardens. At the show Craig gave three presentations offering his expert insight on a range of topics to guests. Attended by hundreds of people, the show also saw Craig give a demonstration on ‘how to use paint sprayers for home decorating’ using Wagner paint sprayers. As a brand ambassador for the world-leading manufacturer, Craig was able to show audiences how easy their products are to use.